The world of oils is vast and varied, for that reason I am always trying to organize them in my mind, to help me know what to reach for when developing a new formula. I have several ways of studying the oils, but possibly the best way to organize them is by the dominant fatty acids in each oil. 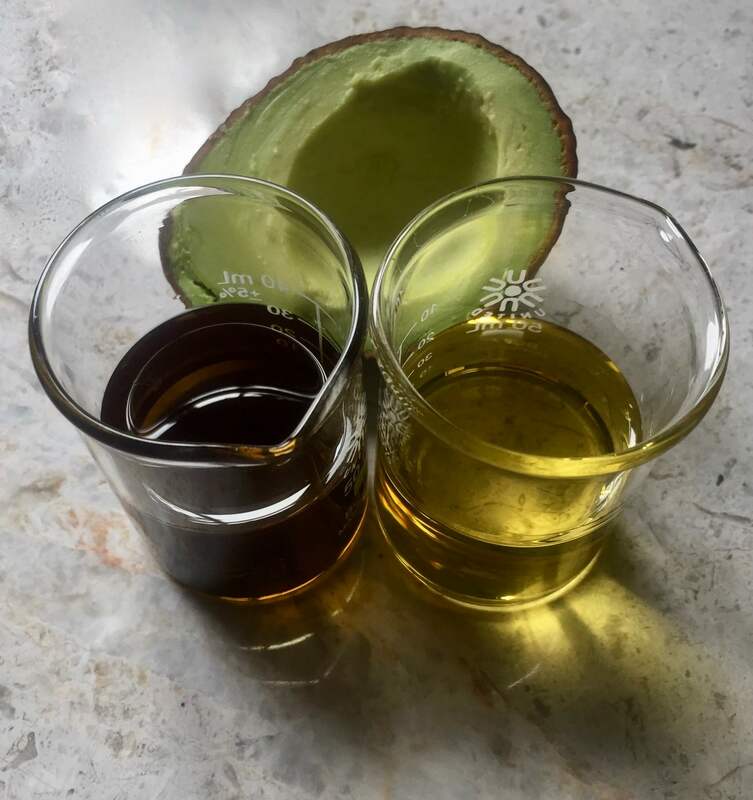 We could spend weeks diving into the subject of fatty acid families, but for now I just want to look at the differences between the fatty acid groups, so that you can start building your relationship with the oils! There are two main types of fatty acids: saturated fatty acids and unsaturated omega fatty acids. Saturated fatty acids are solid at room temperature. These are your shea butters, coconut oil, mango butter and cocoa butter. This group is large and varied, but small compared to the omega fatty acid group. The omega fatty acid group includes both monounsaturated fatty acids and polyunsaturated fatty acids. Notice both are unsaturated. The difference between these two are number of double bonds on the fatty acid chains; mono meaning one double bond on the chain of carbons and poly meaning more than one, all the way up to five double bonds on the carbon chains. If you didn't major in chemistry in college, don't worry, I didn't either! The oils taught me basic chemistry, it was through working with them, and studying them that I began to learn these concepts. As you work with the oils and study them it will all make sense. Let's look at the saturated fatty acids and how we use them in skincare first. Saturated fatty acids belong to a family of their own. They range from very short, four carbons up to very-long lengths of carbon atoms, 24 and above. Fatty acids include stearic and palmitic that make up most of the solid butters like cocoa butter, shea butter, mango butter and coconut oil. In skincare formulas these saturated fatty acids protect the skin. They don't penetrate deeply into the skin layers but rather sit on top of the skin, forming a light protective layer against against wind, cold, and even sun in many instances. Saturated butters are solid at room temperature because they have high percentages of saturated fatty acids. But all oils and butters are a combination of different fatty acids. The percentages of each are what determine the character of the oil. Omega fatty acid family contains multiple fatty acids, including omega 9, omega 7, omega 6 and omega 3. The structure of the carbon chain, where the double bonds fall on the carbon chain, sets them apart from one another, though they are closely related. Omega 9 family contains multiple monounsaturated fatty acids. The most common of which is oleic acid. Oleic acid - which gets its name from olive oil - is found in all oils in some measure, including olive oil, avocado oil, camellia seed oil, almond oil, and apricot kernel oil. Monounsaturated fatty acids have an absorption rate slightly higher than saturated chains and so they also protect the skin from moisture loss. On the skin, oleic acid helps maintain suppleness, flexibility, and softness. Oleic acid moisturizes by creating a fine protective film of nourishing monounsaturated fatty acids on the skin surface. 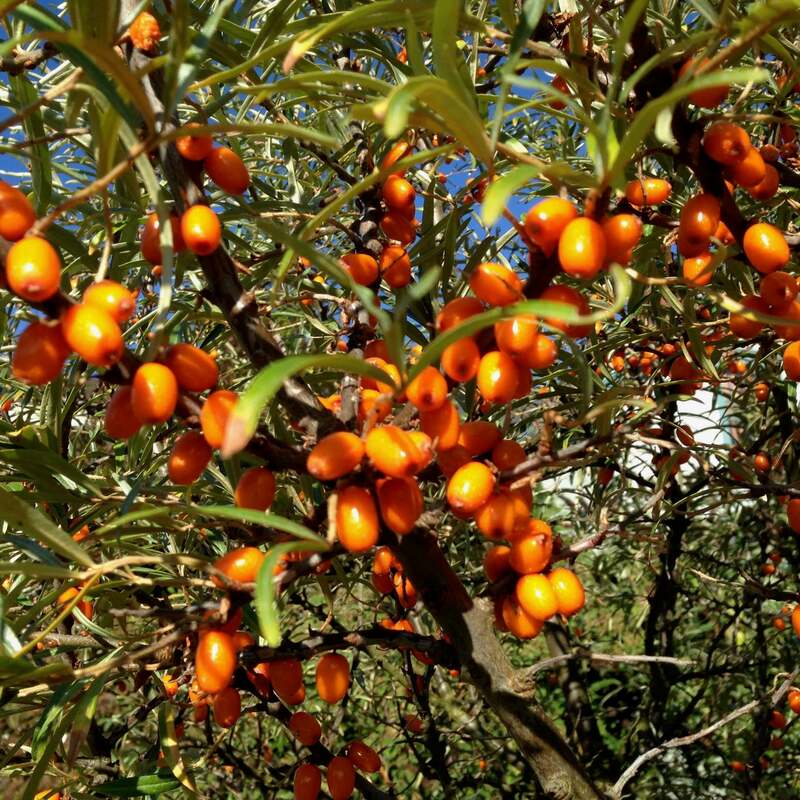 Anti-inflammatory and regenerative properties maintain the health of the skin and its affinity with healthy skin function makes oleic acid important for good skin care. Other omega 9 fatty acids include ricinoleic acid found in castor oil, and the very-long chained C20:1 and Erucic acid C22:1 found in rapeseed oils. Omega 7 also monounsaturated, with its most important member palmitoleic acid C16:1. Found in all tissues, palmitoleic acid is an important part of skin lipids. Produced by the sebaceous glands, palmitoleic acid forms about 20% of sebum and protects against infectious agents while its antimicrobial actions maintain healthy skin functions. Found in many oils at very small percentages of around 1% it is generously supplied in a few: macadamia nut, sea buckthorn fruit, and avocado oils. The production of palmitoleic acid in the skin decreases with age, so it’s an excellent fatty acid supplement for mature skin care. Within the group of polyunsaturated fatty acids are the two essential fatty acids, Linoleic acid and alpha-Linolenic acids. Omega 6 linoleic acid, C18:2, as one of two essential fatty acids is a particularly important fatty acid and plays a crucial role in maintaining the barrier and passage functions of the skin. Omega 6 fatty acids absorb well into the skin layers and plays an important role in our health. 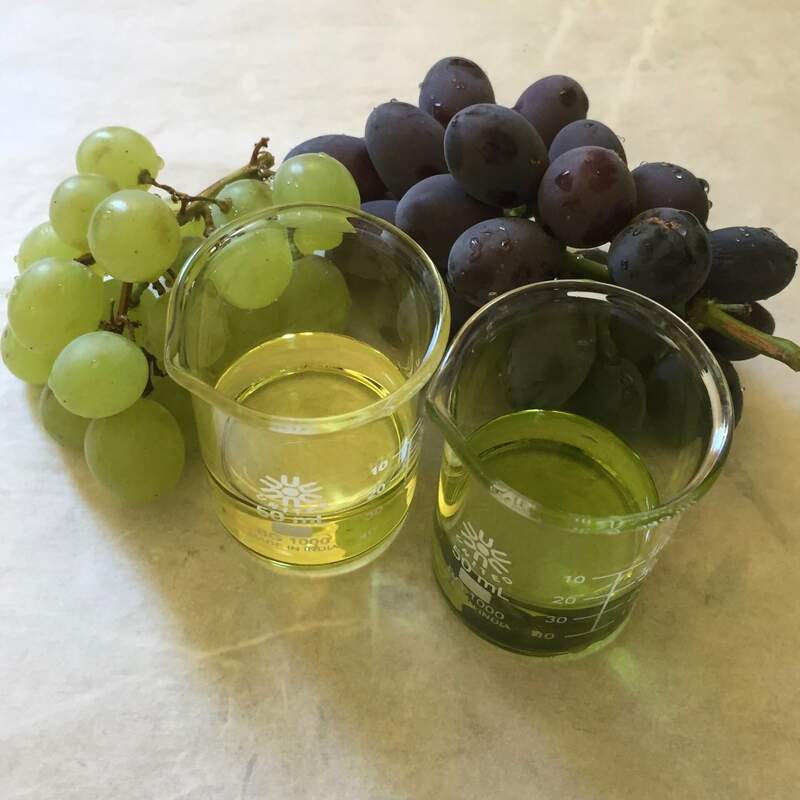 Grape-seed, safflower, evening primrose, and passion fruit seed oils are high in linoleic acid. The barrier and passage functions of the skin must be optimal, able to absorb or repel according to environmental conditions or current skin needs. Harmful bacteria, chemicals, and plain old dirt are kept out when these functions are working properly, while moisture and nutrients, including fatty acids, are absorbed into the skin layers. 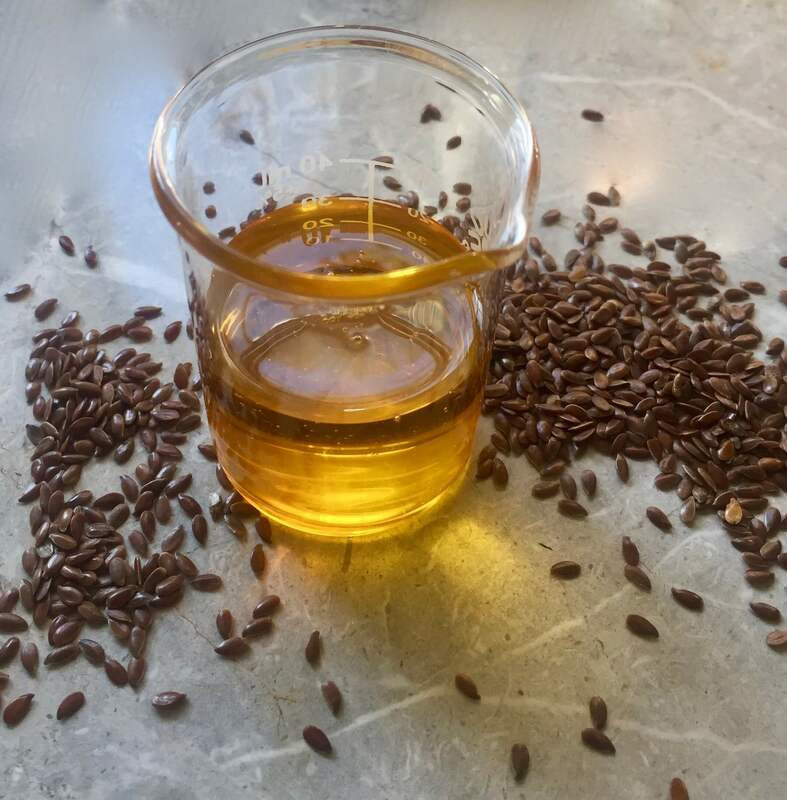 Gamma-Linolenic acid, GLA, C18:3, also an omega-6 fatty acid, is not an essential fatty acid, as it can be made from linoleic acid, but plays an important part in maintaining the health of the skin and body. Anti-inflammatory and immune supporting properties soothe redness, irritation, and itching. GLA helps heal damaged and broken skin and minimizes scarring by supplying nutrients to the skin necessary for regenerating skin cells. 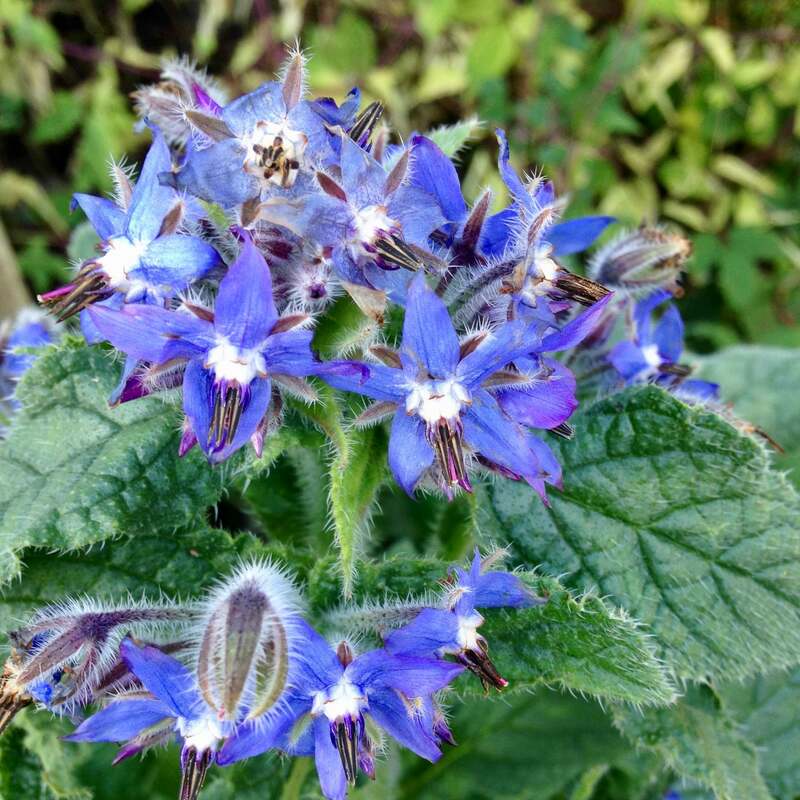 Found in evening primrose, borage and black currant seed oils. Omega 3 alpha-Linolenic acid, C18:3, is particularly vital to the health of the skin and body. Anti-inflammatory and internally protective of the circulatory system, this fatty acid performs functions important for healthy skin. As the essential fatty acid responsible for curbing inflammation, LNA helps to relieve itching, redness, and skin irritation. Protective, nourishing, and very light, oils with high ratios of both essential fatty acids, GLA and LNA, absorb quickly and easily into the skin. Produced primarily in seeds, high percentages of LNA are found in red raspberry, walnut, blackberry, chia, and flax seed oils. The omega 3 oils have similar health giving properties that the fish oils do and are especially important for maintaining a balanced inflammatory response in the body. Thank you Susan for this and all your work on oils! I enjoyed your talk on the skincare summit and have ordered your book too. I’m curious to know more about how to preserve and protect oils from rancidity, but expect you’ve covered that in the book. Thanks too for sharing all the info in the various downloads. Thank you Susan. I enjoyed your interview on the Summit. This is very interesting and useful information. Thank you for what you do and providing this information in an understandable way. You did a beautiful job. One would never know that it was your first time! I loved your presentation, and have ordered your book and joined the FB group. Thanks for all you do. After 13 years of making soap, I find that there is so much left to learn. Like so many other subjects, there is a world of undiscovered depths to be found. You have peeled off yet another layer, and I am excited to look below. Thank You. All of the hard work you have done on the subject of oils make it easier for all of the other non-chemists to understand. I received your book as a Christmas gift, and I have devoured it. While studying aromatherapy I kept repeating “I need to learn about all those carrier oils out there,” and your book has been wonderful. Enjoyed your participation in the Skincare Summit and thank you as well for the printouts! So very helpful! Hi Lynn, You would be referring to the unsaponifiable part of the oils and butters. On the whole many do survive the lye and remain in the soap. As long as the compound can withstand heat and high pH (base) it would still be present and helpful. Thank you Susan , for a really great informative talk, it was my favourite . You and all you have created have been a constant help and source of wonderful female inspiration . Keep up the brilliant work, you know your onions ( oils) ! I have been a fan of yours, and your book, since it was published in 2014. It’s an awesome, informative book about a subject that not many people delve into: fixed oils. Thank you for your attention to detail, and do some classes. Is this correct in the download? well taking nutrition with them. Oops, typo alert. Thank you Glenda, it should be soak not soap! I too am SO happy to have found you and your work, Susan. My book should arrive today and the FB group has already proven to be quite valuable. Thank you so much for sharing! Hi Caitlin, an over due reply, If you get me book Power of the Seed it has lots of fatty acid profiles in the back and includes many nuts and seeds. The beginning of the book goes into an explanation of the different fatty acids and how the different oils are constructed from them. All oils have many fatty acids. What determines their nature is the percentages of each. 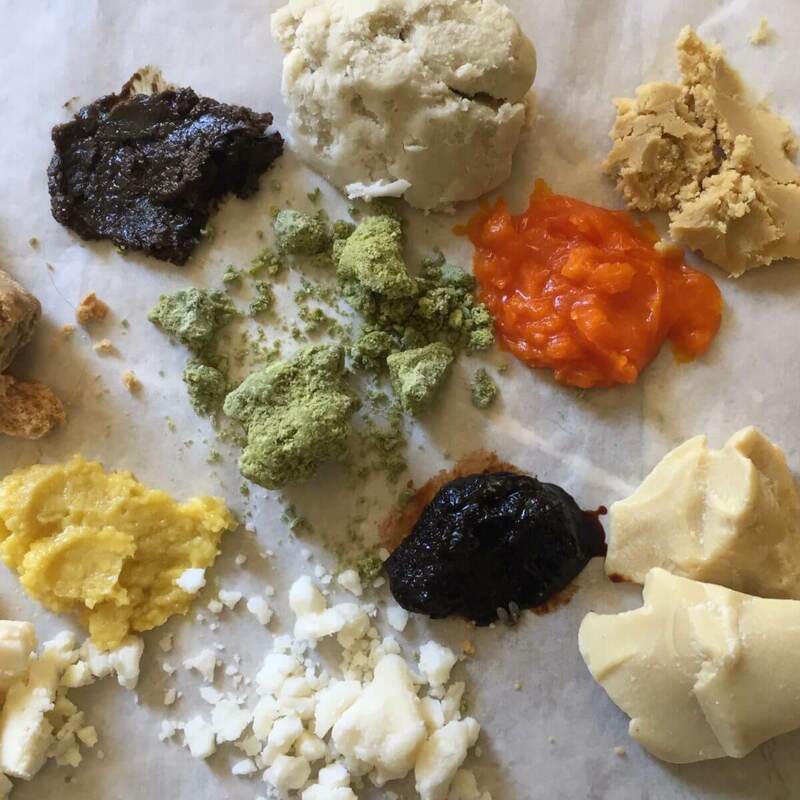 I have made soap, but I am no expert, especially for shampoo bars. You might want to try a soap making group? Most oils are made of triglycerides which are what saponify, they break apart and create soap. But not sure why your bars are making the hair oily.